This handcrafted chair has lovely curved lines that will compliment whatever space it is placed. 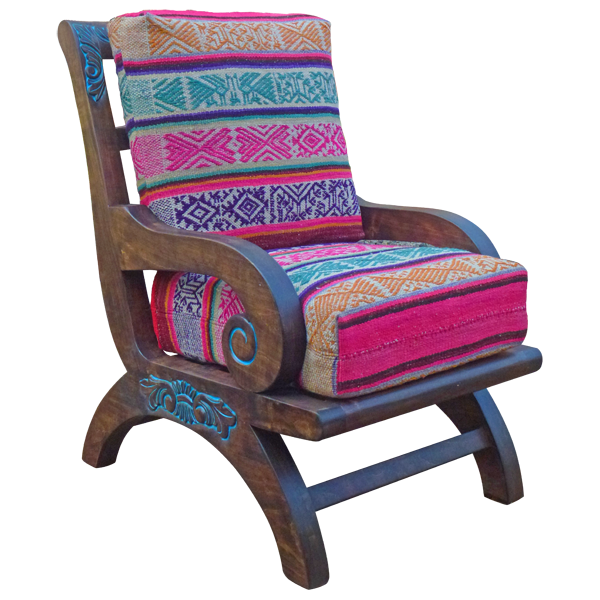 Its solid wood frame has a natural finish with antique turquoise stain on the hand carved details. The curved armrest end in hand carved scrolled designs. The chair is supported by curved legs, joined by a cross bar in the front and in the back. The intersection of the base of the chair and the legs is hand carved with ornate floral designs. 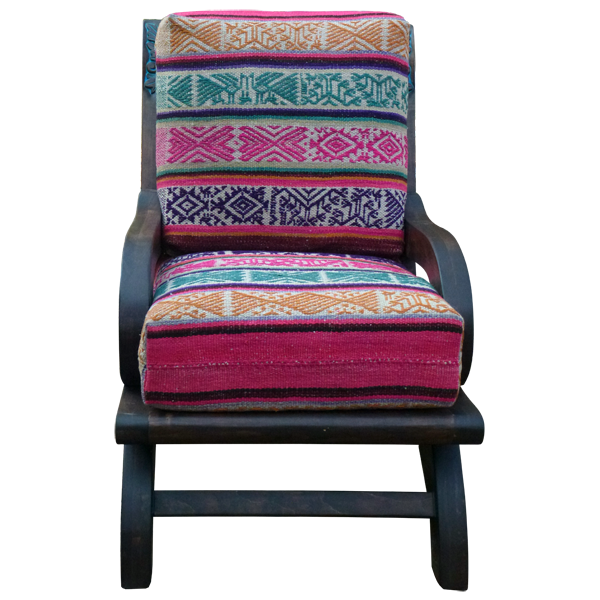 This handcrafted chair features a loose, extra padded seat cushion and seat back cushion. The cushions are upholstered in patterned, fine fabric, and are double stitched for strength and durability. The chair is also very comfortable due to its sling design and extended, arched back. The chair is made with the best wood available, and it is 100% customizable.